Pets and kids make a great combination. Open discussion, planning and parental involvement are essential for all pet owners so that they can take care of the little one properly. If you teach your child to take proper care of an animal and even treat it patiently and kindly, he/she might be trained to treat people in a similar way. Careless and rude treatment of your pet is unhealthy not only for your pet, but also for the child. Obviously, many pets for kids can make your child happy; it becomes important to opt for a pet that is appropriate for your home, family and one that can adjust with your lifestyle easily. In addition, you need to consider the pet that can be taken care of by your child. You need to be cautious about bringing offensive animals as pets. It may be difficult to take exact care of those unusual animals that can’t adjust with domestic environment. 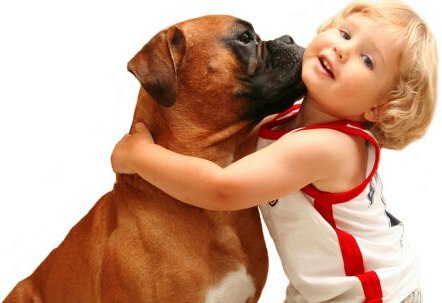 Pets teach values to kids: By having a right pet in your house, your child learns to pick up responsibilities naturally. Undoubtedly, you would take most of the responsibilities of the pet but your child would get to learn the importance of caring for the pet. He/she can pour food into its dish or do other such easier jobs. Moreover, he/she would learn to be gentle and kind not only to the pet but also to others. Pets can boost dignity: Research has shown that family-owned pets have higher dignity. This is because kids prefer to talk and play with the pet when there is no one around. Again, when your child starts going to school, your pet can develop his/her academic talents. So talking to such a loyal companion can develop confidence into someone reluctant and make him/her confident. Pets are good for developing health: According to the experts, kids growing up with pets are less prone to allergies caused by bacteria. In addition, some studies have shown that owners of pets fall sick lesser and grow healthy. However few children are allergic to the animals, so be careful prior to taking the attempt. Apart from cats and dogs, there are other animals as well that you can bring home as a pet. Guinea pigs are good for kids since they are gentle and can be easily dealt with. Besides, hamsters are cuddly and can be easily taken care of; and they are considered as perfect pets for children. Interestingly, they can behave socially if you teach the animal properly and nourish it at the core. What about gerbils? Gerbils are small animals resembling mice and these are safe for kids. Taking care of the animal is as easy as you take care of the others. In addition, rabbits, gold fishes, parrots are good examples to be kept as pets for kids.